The EA9500 is an imposing slab of a router, festooned with no fewer than eight (non-removable) antennae. It fits into the plus-sized category, alongside the Netgear R9000 Nighthawk X10. A big case with lots of aerials usually implies strong wireless performance, and on paper, the EA9500 is capable of delivering 1.000Mb/sec on the 2.4GHz band, and a whopping 2.167Mb/sec on each of its two 5GHz radios. By default, these bands appear as a single 802.11ac network, but a band steering option works behind the scenes to balance clients across the two 5GHz connections, keeping contention to a minimum. Needless to say. we didn’t get anywhere near those speeds in our tests, but the EA9500 nevertheless served up an impressively fast connection, with solid download speeds of 14MB/sec even at the far end of our test home. 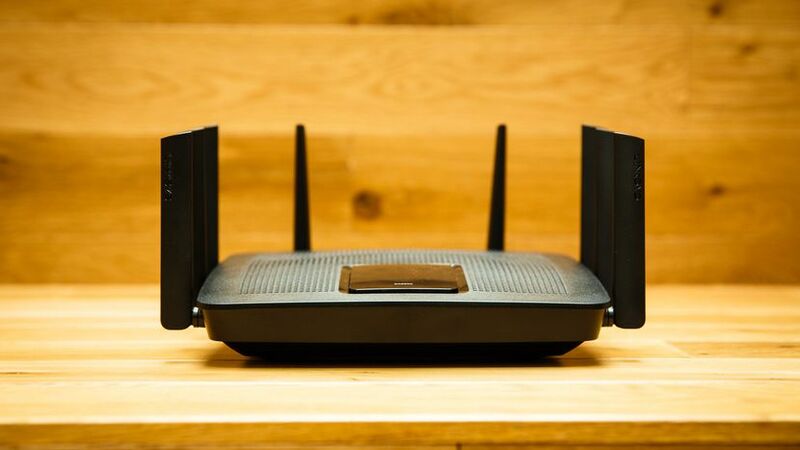 While it wasn’t quite the fastest router in any test, it consistently came either second or third, and was never more than a whisker behind the winner. 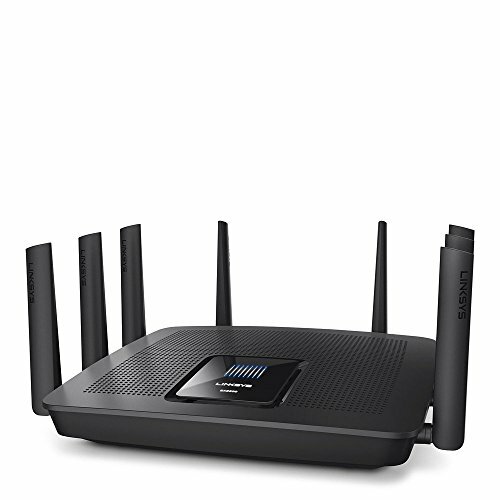 In short, if you’re looking for fast, pervasive Wi-Fi, the EA9500 delivers. Aficionados of wired Ethernet will be happy too. Around the back of the EA9500 you’ll find a generous count of eight Gigabit Ethernet ports – more than any other router this month – in addition to a separate Ethernet WAN socket, which you’ll need as this router doesn’t have a built-in modem. There’s additionally a pair of USB 3 ports, allowing you to attach a printer and an external hard disk simultaneously. Be aware that the EA9500 doesn’t have an internal print server, however: you’ll have to install the Linksys printer software on a Mac or PC to manage and share it. the web portal you can optionally set up custom shares and protect them with usernames and passwords. You can also make files available over the internet via FTP – a niche feature, perhaps, but a potentially handy one. Enable the DLNA server and any video files on the disk will also be published for streaming to compatible devices. Most of the other features you’d expect are present and correct – a ring-fenced guest network is created by default, and you can set up access schedules for individual devices. There’s also built-in support for the dyn.com and no-ip.com dynamic DNS services, and if you connect your account to Amazon, you can ask Alexa to read out your wireless credentials, or command her to turn the guest network on and off. There are just a few niggles. If you don’t want to mess with your existing network settings, you can switch the EA9500 into AP mode and use it purely as a wireless access point, but there’s no wireless bridge mode. Still, we doubt many people would want to use a powerful router such as the EA9500 as a mere extender. More annoying is the ‘Smart Wi-Fi’ web interface, which is pleasantly laid out but frustratingly slow. After every click there’s a wait of a few seconds for the next page to open, which makes even the simplest administration task feel like a chore. We were also unimpressed with the network map. Linksys has taken a graphical approach here, and it’s really unhelpful. Each client is represented by an icon and a name, but if you want to see an IP address, it takes two clicks to open each device’s information window, and another click to close it again. Plus, if you have more than 16 devices, they won’t fit on a single page, so you have to flick back and forth to get a full overview. Why not just give us a conventional table? 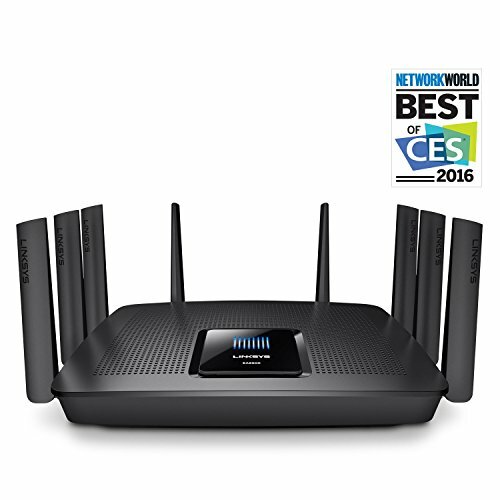 Still, that’s probably the worst criticism we can level at the Linksys EA9500 – and you can get around it by using the Linksys smartphone app, which has a cleaner interface and lets you check up on your network status and even tweak settings remotely. 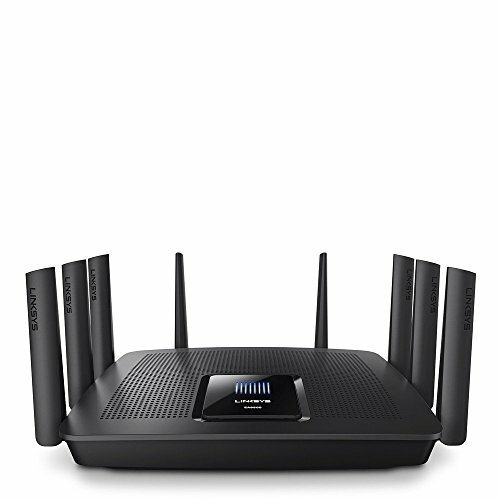 All told, the Linksys EA9500 Max-Stream is a superb all-rounder. While not quite as feature- packed as Netgear’s mighty Nighthawk X10, it’s more sensibly price, saving you well over while delivering terrific wireless speeds and great wired features. 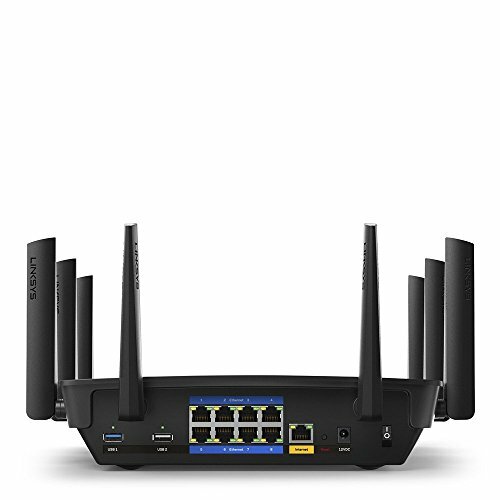 Superb wireless performance, loads of Ethernet connections and all the features you could want for a sensible price.